Eclipse-Finance – Binary options broker. Company was founded in 2014. Based: St. Vincent and Grenadines. Minimum deposit = $100 . 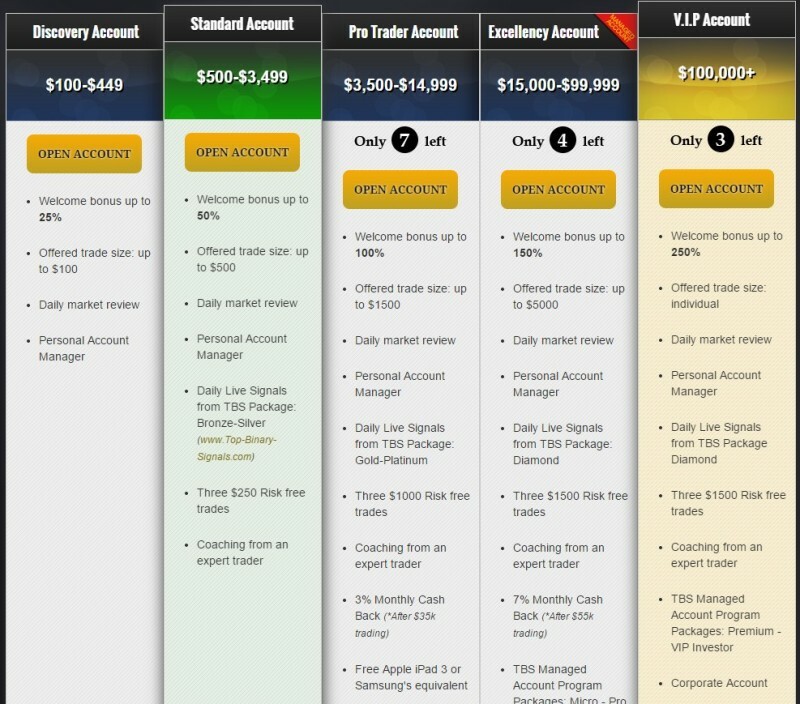 Eclipse-Finance offer Free Apple iPad 3 for clent opened “Pro Trader Account” and Free Apple iPhone 5S or Samsung’s equivalent for “Excellency Account” clients. Welcome bonus 25% – 250%, depend of your account type. Some of the top services that one can find at this platform include trading currencies, commodities indices, and stocks. They also offer Daily market review and Personal Account Manager to the users. You can deposit and withdraw money with payments options such as CreditCard and Wire Tarnsfer.